As we come to the end of 2018, you’re likely reflecting on the past year — and how your restaurant marketing either fell short or had a conversion rate that got customers in your establishment. From restaurant email marketing to traditional marketing to searching for restaurant promotion ideas, you do a lot to keep your restaurant serving members of your community. Guest access WiFi can actually help with this — and we’ll tell you how. Whether you already have restaurant WiFi or you’re planning on incorporating it into your business in the New Year, you can benefit from the WiFi solutions that That’s Biz provides. We specialize in advertising for restaurants, and we see the immense advantage that incorporating guest access WiFi into your marketing plan can have. 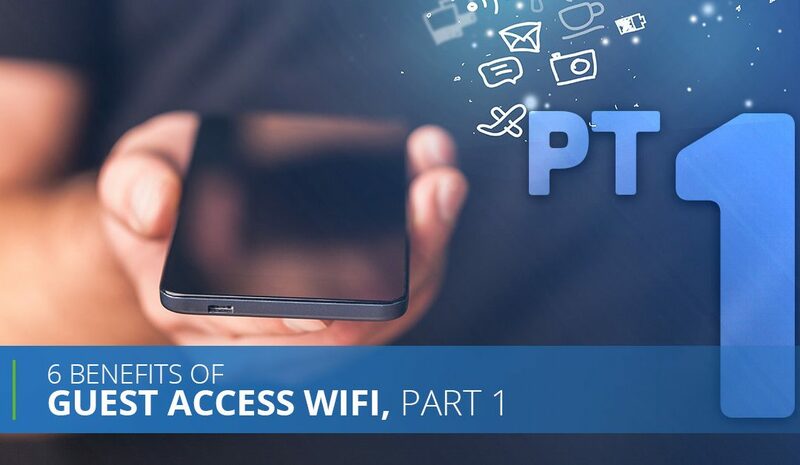 In this two-part blog series, we’ll discuss six key advantages of offering guest access WiFi. If this sounds like a match for you, then learn more about guest WiFi for restaurants and contact us today to get started. As a business owner, this is always your goal. Sure, you want customers to enjoy their experience, know they can count on your restaurant for excellent customer service, and eat and drink great food while they’re at it — but you really want to increase sales. Guest access WiFi is a foundational way to make this happen. When your customers enjoy free restaurant WiFi, you’ll be able to attract repeat customers with personalized restaurant promotions; send coupons and deals to new, former, and repeat customers; and increase online visibility and brand awareness. These three aspects all lead to more customers in your restaurant and more revenue for you. We’re sure you’re well aware at this point that not every customer will convert with their first interaction, no matter what effective advertising you’re using. All advertising methods will experience customers that don’t convert — or at least don’t convert right away. By using WiFi solutions from That’s Biz, though, you can retarget those customers and get them back in your restaurant. You can build loyalty by offering coupons and deals to repeat customers or use text message marketing to reach out to previous customers. Any personalized message you send to a repeat or former customer will be more likely to make a conversion because you use the customer database and information you received from the restaurant WiFi. All this being said, you want to be sure you can be in control of your restaurant WiFi and who uses it. With the WiFi solutions from That’s Biz, this is possible. You can limit WiFi use to a certain amount of time, for example, and you can even block users from gaining access to the WiFi. You can also protect your back-office systems with captive portal, while also providing guests in your restaurant with additional security while they use your WiFi services. Keep reading Part 2 of this blog for more ways that guest access WiFi can benefit your restaurant and your bottom line.